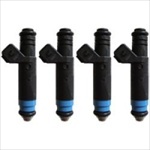 These 60lb(630cc@3bar) injectors are a very popular choice for turbo applications. Another popular choice for turbo applications, these high-impedance fuel injectors flow 52 lbs/hr @ 3bar, and more at higher fuel pressure. 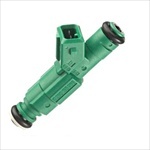 A popular choice for BT 1.8T/24v/R32 turbo applications, these high-impedance injectors flow 80lbs/hr @ 3bar, and more at higher pressure. A popular choice for turbo applications, especially 12V VR6T/2.0T ABAs.